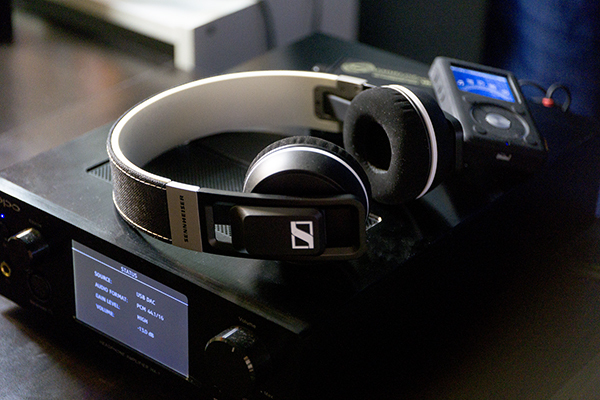 The new Sennheiser Urbanite was released a few months ago and we took time out to see how Sennheiser has been slowly evolving their more consumer orientated headphone range after the well received Momentum . 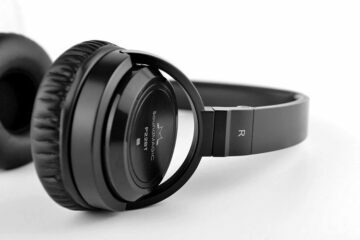 The Urbanite comes in two flavors, the On Ear, which is the one we are reviewing today, and the XL version which is the large circumaural type headphone. The On Ear is $199 and the Xl is $249 SRP. This is a little higher than the On Ear Momentum’s current street price which has dropped considerably to the low $100-150 mark making it a very temping alternative. Now it seems like the world of Sennheiser portables hasn’t changed much over the past decade or so. Headphones like this are still being mass produced without much love and care put into their design, fresh off the factory floor with a host of problems that will never be fixed in future revisions. Where did the innovation go? For $199 you get the exact same hard zipper carrying case that Koss included with their brand new 540iBT headphone, a flat style cable with a large in-line microphone and of course proprietary adapter housings that make it difficult to use your own cables if need be, synthetic mystery material ear pads and of course the Urbanite itself. I scratch my head as to which target market buyers group Sennheiser had originally thought would purchase this headphone. Marketing trends have proven that over the last generation of portable audio devices that it is the likes of Bose, Sony and Beats that are going to win in the fashion stakes even if they produce a bad product than if Sennheiser had produced a good product. Although Sennheiser’s new Momentum range has all the licks and chops in the style criteria, Sennheiser will never wrestle that style guru title away and become the next Beats by Dre. The headband is actually quite large for a portable headphone. I am not sure that the average human head is shaped like this. 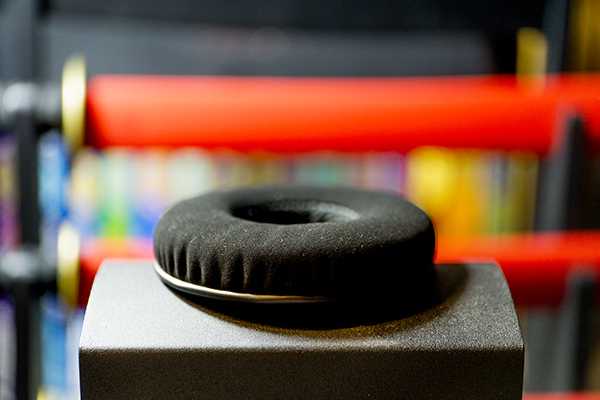 This is a portable headphone with a headband that is shaped too much like a true half circle that produces a lot of gaps between your head and the actual band itself. 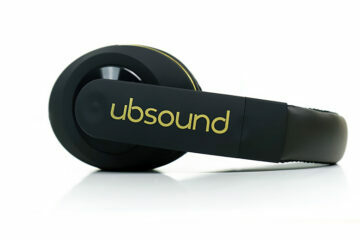 The ear cups are also very small, so the end result is a headphone design that looks really odd. Sennheiser also decided to offers the Urbanite in multiple colored exteriors made from a type of denim material over the headband area. There is no padding at all on the underside of the headband, which is forgivable due to the lightweight factor of the headphone at 260g or so. However, those ear pads are of a poor quality. They do not feel like normal velour. I have no idea what this material is, but I have encountered it before cheaper headphones. It has a really strange texture to it that is uncharacteristic of velour, which I am assuming this material is derived from or at least intended to be similar to. Comfort qualities are relatively average and nothing special, so from an objective point of view I cannot say anything bad about it. It is an on ear headphone with bad pads, one that does not conform to the shape of a human head and I do find them unbearable in comfort on a subjective level. Don’t let this sway you from trying it though; my ears are very sensitive to on ear designs. I cannot wear these headphones for more than 10 minutes. However, most other people don’t seem to have problems with on ear designs, I do. So, take that part with a grain of salt. If you have found that you cannot wear on ear headphones in your audio journey as I have found, then skip this set entirely. The exterior casing is composed of plastic and is very pliable, they also fold up nicely. I don’t feel any cheapness in the type of plastic used for the cups, but the new Sony XB950BT feels more solid. The bar has been raised, the Urbanite’s build quality no longer is up to par with what I would consider a well built headphone. I was really curious about this, and I’m glad I didn’t buy it. I have to wonder what the corporate bureaucracy is like at Sennheiser, and what drives their designs? Then again, I’ve read reviews by well-known reviewers who sometimes like really odd designs. The Momentum On Ear isn’t terrible, but it’s still pretty uneven. 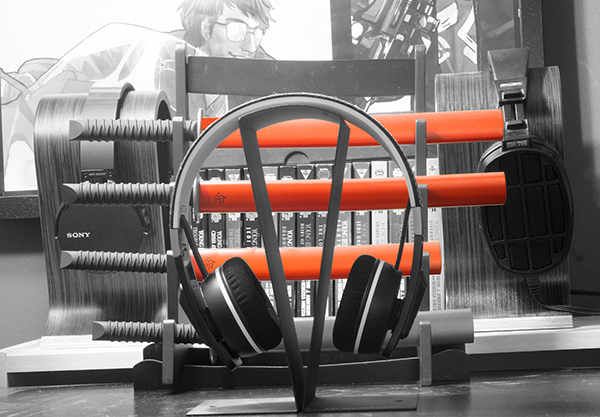 The v-moda M80/XS may be a little congested, but it’s easy to get used to, and better than the MOE for long-term use. Yep, I didn’t like them at all.